Gutters may not be the most glamorous feature of your home, but the damage-prevention purpose they serve is essential. Without a properly functioning gutter system, your home could be prone to basement flooding, roof damage, foundation erosion, landscaping washout, and more. Bottom line: Getting to know more about your gutter system now could be the knowledge you need to save you from costly home repairs in the future. What Is a Gutter System? A home gutter system helps to collect and channel water from rainfall and melting snow off your roof and away from your siding, windows, and foundation. This is typically done using a trough-like system, where the slope of your roof leads the water to the gutter, which catches it and directs it to a downspout. The downspout releases the water either into the ground or into a rain barrel, which acts as reservoir of water to be used to water plants or wash the exterior of your home. Though most gutters serve the same purpose from home to home, not every gutter system looks the same. Gutters come in a variety of shapes, colors, sizes (or “profiles”) and materials, with aluminum, steel, and copper being the most common. Gutters that hang horizontally from the eaves of your roof are typically open. However, to prevent debris-related clogs, screens, gutter guards, and covers can be added to help lengthen the lifespan of your gutters while simultaneously reducing the necessary maintenance. Speaking of maintenance, keeping your gutters clean is a must to helping them work efficiently as possible. Without covers, screens, or guards, environmental debris, such as leaves, branches, seed pods, and tree nuts can fill up your gutters, making it difficult for water to flow to and from the downspouts. The result can be roof damage, water leaks, and siding damage, to name just a few. 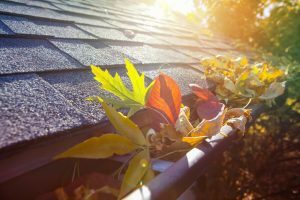 Your gutter system should be cleaned at least twice a year–once in the spring and once in the fall. If you live in an area with dense tree cover, you may want to consider cleaning your gutters more often. Cleaning your gutters isn’t difficult to do, but the process is one that requires special attention to safety. 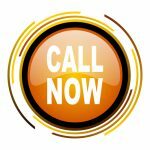 If your gutters are high, your roof is set at steep angles, or if the footing for a ladder is unbalanced, your best bet is to hire licensed and insured professionals, such as North Shore Home Works. They can clean your gutters and review your roof and housing exterior for any potential hazards that need remedying. Aluminum gutters typically last at least 20 to 30 years when cleaned and maintained regularly. If your gutters are no longer working properly, are showing signs of wear, or have been damaged, it may be time for a gutter system replacement. Some issues may be visible to the naked eye, such as gutters hanging off of eaves, dented downspouts or gutter seam splitting causing water to drip onto your foundation. 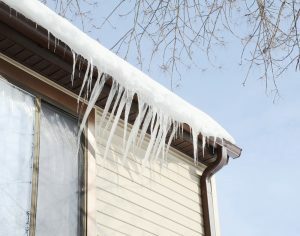 Other problems may present themselves as roof ice dams, pest problems, foundation cracking, soil erosion, and mold damage. Whatever the problem and cause may be, if a simple cleaning isn’t the solution, considering replacing your gutters sooner than later. If your home lacks a functioning gutter system, rainwater and melting snow will take years off of your roof and can erode your foundation. Talk about top to bottom costly home damages for such a small part of your home or building. If your gutter system hasn’t been cleaned in the last six months, it may cause a leaky roof problem in the future. It’s not unusual for roof leaks to be caused by a gutter system that is filled with leaf debris. When gutters get clogged and the water has nowhere to go, it may run down or behind the siding of your home. Either way, you end up with an unsightly and potentially hazardous situation. If your gutters are damaged or clogged, we can correct the issue quickly and affordably. Posted in Gutter Replacement and Repairs, Home Improvement, Posts.